I’ve said many times before how much I HATED summer style. It was the least developed part of my wardrobe even though it’s one of the longest lasting seasons where I live (we get summer weather June through Sept/October…I know it doesn’t compare to Florida, but it’s still 4-5 months nonetheless)! For the last few summers, after the middle of July I was DONE dressing for summer. I hated it. I had no game plan for summer dressing, I was missing summer basics and overall lacked a cohesive wardrobe, and I always felt like I had nothing to wear. Yet I still had about 3 months of summer weather ahead of me! Bleh! I’m SO happy I put time into developing a mix and match summer wardrobe over the last few months. With this wardrobe, this summer I have been LOVING my summer style, where normally at this point I would be dying for fall clothes. 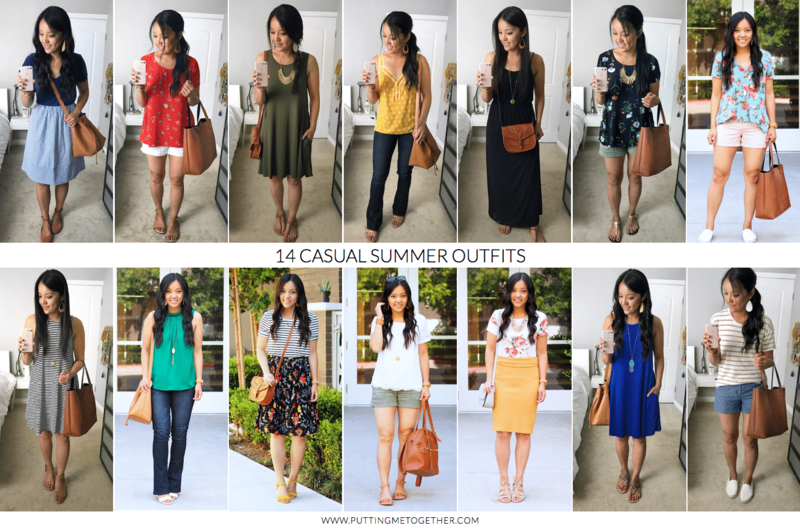 If you need some summer outfit inspiration, here are 2 weeks worth of outfits for you! I even laid them out by days. Here they are in live form! Isn’t it fun to see them go from little graphics to real live outfits? If you’re thinking you can’t wear these outfits because you don’t have these exact pieces, don’t worry! 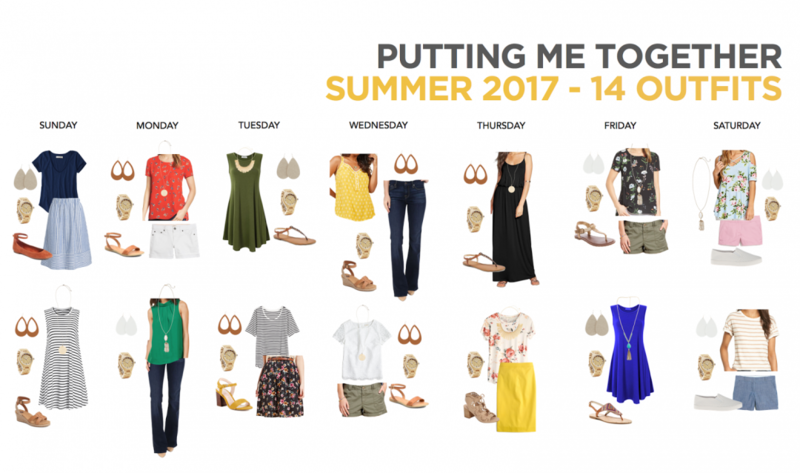 See the Summer Capsule Wardrobe below and you’ll notice under each item there is a generalized description. Pull something from your own closet that fits the description. For example, if you don’t have a solid green top, the general description says “solid colored top,” so use any solid colored top you’ve got! Similarly, if you don’t have a yellow skirt, but you have one in a different color, use that instead. Or, if shorts are too casual for your lifestyle, use a skirt that matches the color description instead. Think of these as outfit formulas rather than outfits you must replicate exactly in order for them to work. 🙂(In the PMT Style Challenge I actually write out every outfit formula for you. E.g. Outfit #1 would say “solid neutral tee + printed skirt + colored flats.” Makes all the translating much easier for you! 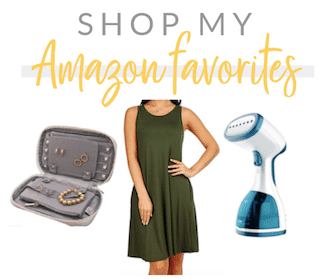 If you want to shop these pieces or lots of similar options, go to my original post for the Summer Capsule Wardrobe (HERE). 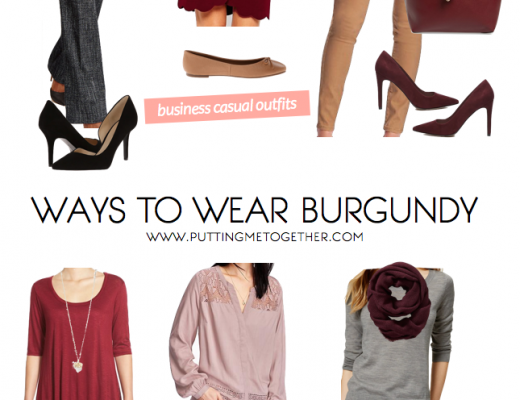 YOU CAN DO IT: Which of these outfit formulas you can take from this post to plan next week’s outfits? 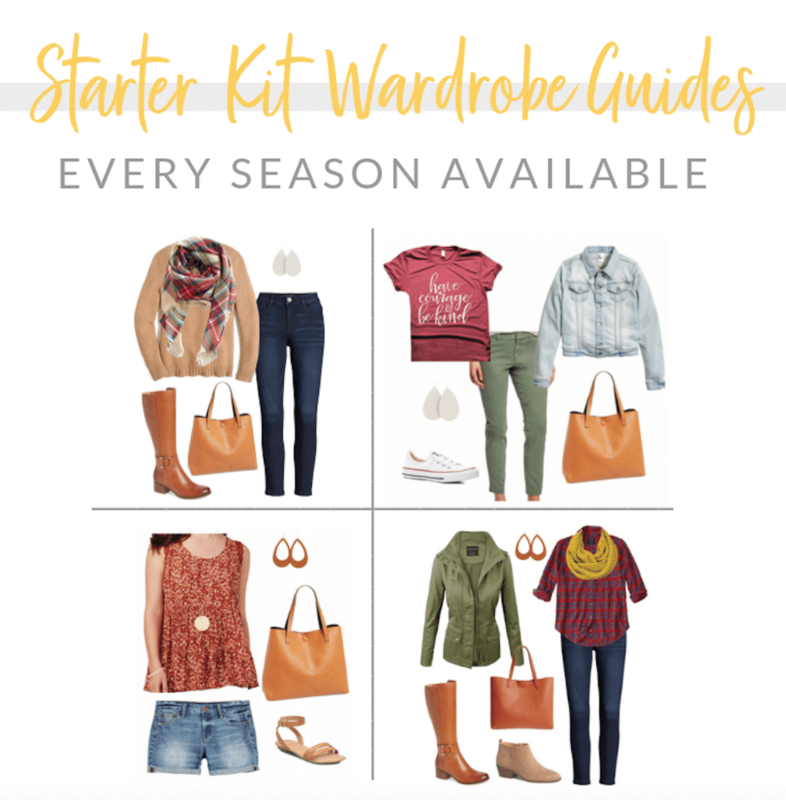 GET MORE OUTFITS – PURCHASE THE SUMMER OUTFIT GUIDE! 65+ outfits made from the Summer Capsule Wardrobe. Look cute through the hot summer months! 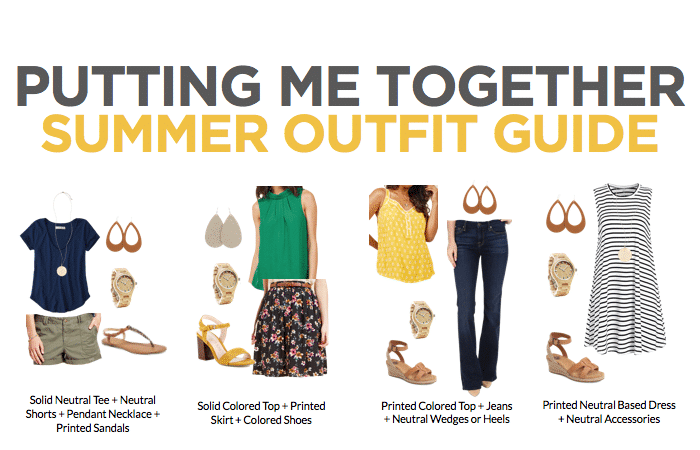 If you want more than 2 weeks of outfits, get the Summer Outfit Guide! 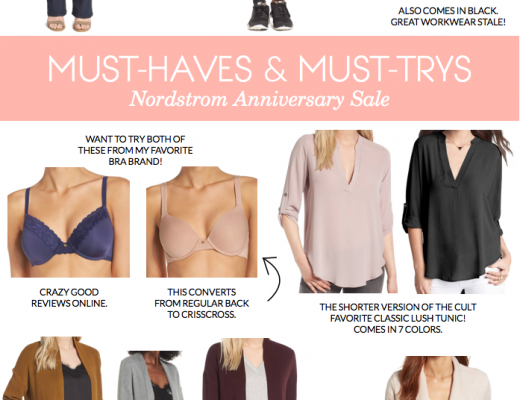 It comes with 65+ outfits from this capsule wardrobe. There are many summer outfits from the Summer Capsule already here on the blog, but what’s helpful about the PDF is that all the outfits are right in front of you all in one place. You can easily scan the PDF for ways to wear one piece. Like, did you want 4 outfit ideas with the blue and white striped J.Crew Factory skirt? It’ll be right there at your fingertips. Same with every other piece in the summer capsule. Also, you can pick and choose from the 65+ outfits and plan a week’s worth of outfits within just a couple of minutes. 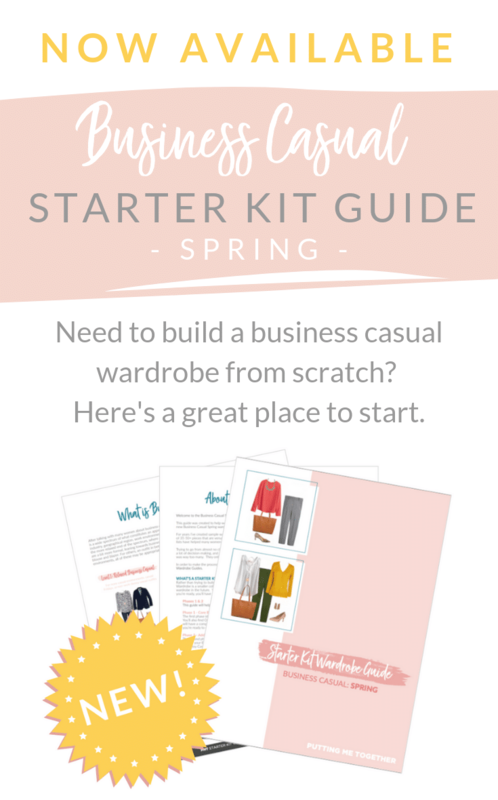 You don’t need to sift through numerous blog posts to collect all the outfits. Lastly, whereas the 14 Days of Outfits above didn’t have generalized outfit formulas listed out, this Summer Outfit Guide includes the outfit formulas. It makes it easy for you to adapt the outfits to work with your life and style. 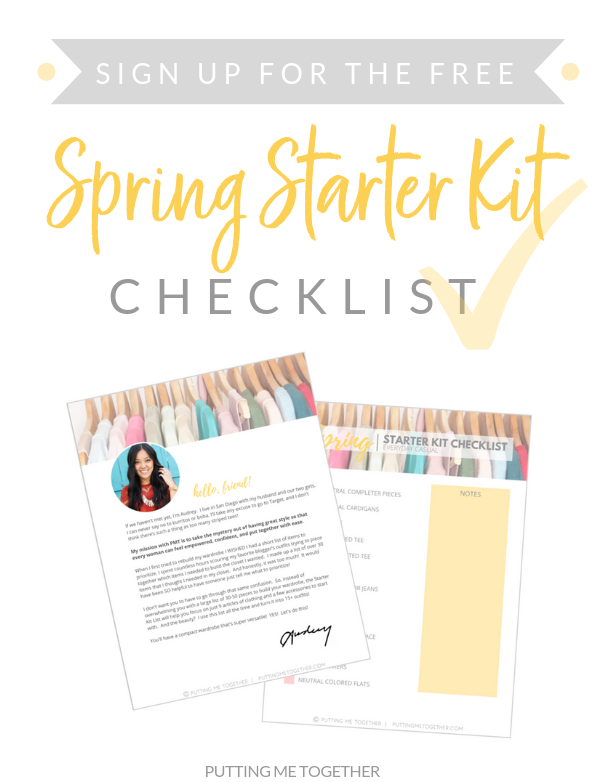 The cost for 65+ outfits, all the outfit formulas, and being able to look cute through the rest of summer without having to think much about it would typically be $24.99, but since it’s the end of the summer I’m marking it down to only $12.99! Click the red button below! 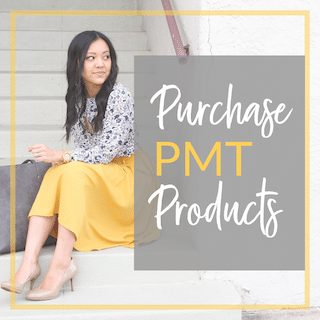 For more capsule wardrobes + planned outfits, check out the past PMT Challenges! Taking notes! Love how all the outfits came to live. It’s always helpful to see them on. By the way, where is the crossbody bag you’re wearing with the black maxi from? This is fantabulous! I love it so much, because I live where you live! I think I can probably wear these with some completer pieces added in for 8 months out of the year! THANK YOU for sharing it. I’m excited for the Fall challenge, even though I probably can’t start wearing fall clothes until November, LOL. Bahaha you and me both with November fall clothes. I’m not sure why you hate summer style, you look great! 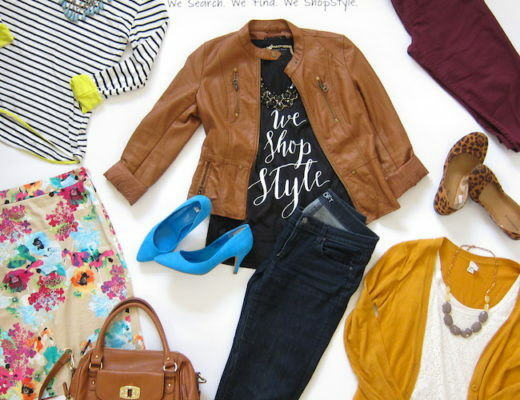 Your outfit ideas that you came up with were super cute! This looks great, Audrey!! Thank you for sharing with us. Looking forward to the next challenge!! I love that you did the IRL outfit photos! 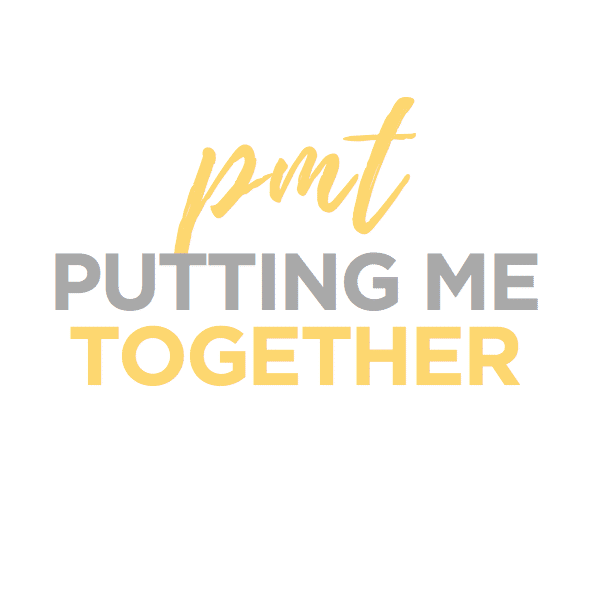 This would be an amazing addition to the PMT challange…if you have time. I’m sure that’s crazy time consumign! I ordered a dress like your olive Amazon one and wondered if you’ve laundered yours yet, and if so, how did you do it? I love the dress (I bought a deep wine color), by the way! I usually hand wash and air dry. Haven’t machine washed them yet! Welcome, Kaisa! I’m 5’6″ and normally size S/M or 6/8. I usually share sizing info on all my posts, just didn’t do it on this one. If you look back to further posts and read the details you can find detailed sizing info on all pieces. Hope that helps! Thanks Audrey! Yup I’ve read some more posts and see the sizes. Thanks again! I love how thorough you are with this! I’m a big proponent of building pieces that can be remixed throughout the year into my wardrobe and I love what you’ve put together! I can’t imagine how much work this was for you but so helpful!! I don’t have all these pieces but it’ll still be helpful! Thank you! Are you going to put a summer 2018 challenge together? And if so, when will it begin? Hi Paula! There won’t be a summer challenge (I wasn’t sure I could handle it with a newborn!) A bunch of women are going through this Summer Outfit Guide instead though!